Create your unique bolster pillows by choosing your dimensions, style and fabrics. Our beautiful fabrics are available in a variety of colors and patterns and will provide years of lasting beauty! Choose from hundreds of fabrics to best suit your needs. 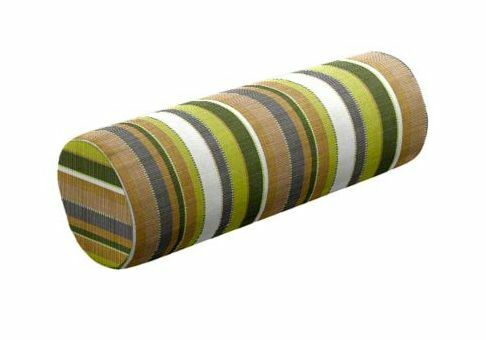 Our most popular bolster pillow size is 20" x 7". 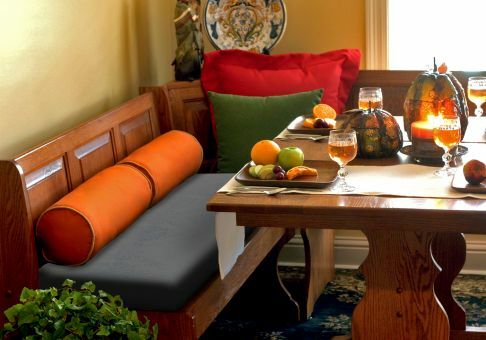 Be sure to verify all your options before adding your custom bolster pillow to your cart. Your pillow will include an invisible zipper. Our bolster pillows are not recommended for extended outdoor use, as the foam filling will retain water. If using outdoors, we recommend bringing them indoors after each use. Pillow will have single piping (cording/welting) along the end seams. All piping is cut on the bias, giving it an angled appearance. Pillow will not have any piping (cording/welting) along the end seams. Our bolster pillows are measured from end to end. 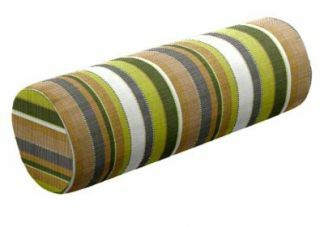 Our most popular bolster width is 20", followed closely by 24".